From start to finish, 2018 was a disappointment. 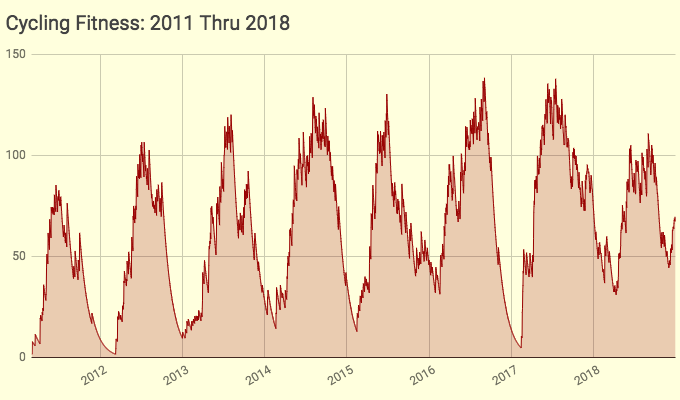 After the extreme effort to conquer the 2017 Dirty Dozen (blogpost) and my 250,000-foot climbing goal (blogpost), I fell into an enduring malaise and lack of motivation that lasted all of 2018. On top of that, three long trips—smack in the middle of training season—ensured I couldn’t get back into proper form in the spring. As if that weren’t enough, 2018 was Pittsburgh’s wettest year in recorded history, washing out even more of my training. In July, when my travel was done, I struggled through my remaining four big events, eventually riding myself back into fitness just in time for the season to end. If we only count outdoor road riding, I rode only 2,776 miles: my lowest total in five years (if we exclude the intentionally light year of my move from Boston to Pittsburgh). And it was by far the least amount of climbing I’ve done since the move. Though if we count the 486 virtual miles I did on the indoor trainer, my annual total rises to a more respectable 3,262: still 20 percent less than I rode in 2017. 2018 wasn’t entirely bad—there were a few minor highlights—but all told, it was a miserable year. I really didn’t have any cycling goals for 2018. In 2017 I had checked off everything I’d aspired to do in Pittsburgh, leaving nothing specific to reach for. 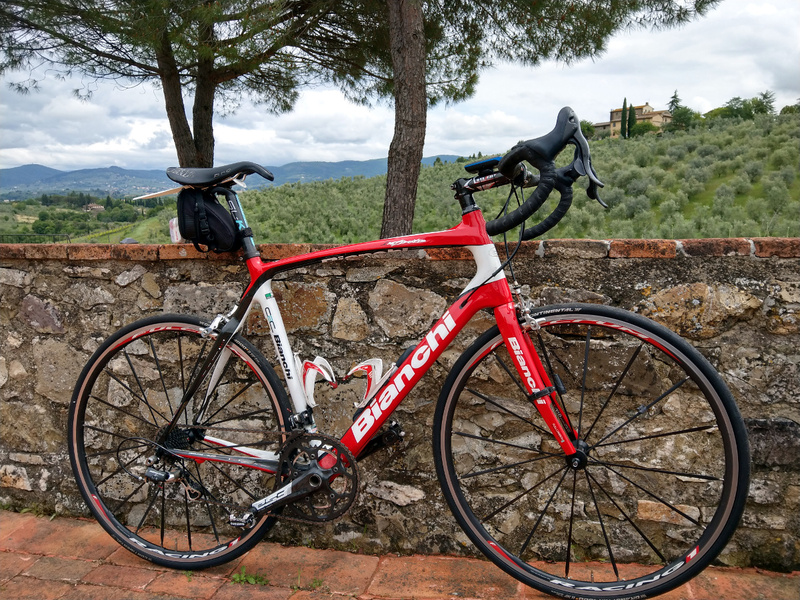 The only item I mentioned at the end of last year’s summary (blogpost) was a planned trip to Tuscany, where I hoped to enjoy some long European riding and even catch a stage of the Giro d’Italia elite cycling race. However, it rained the entire time, allowing only 80km of wet, uncomfortable riding; and I abandoned my Giro date due to a scheduling conflict (blogpost). 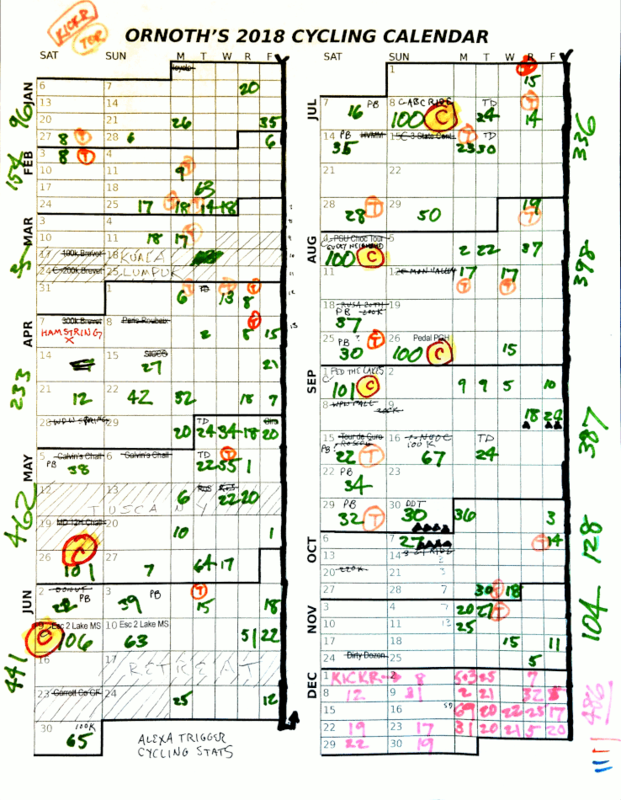 Another way I judge a year is how many 100-mile rides I complete; therefore, this year I’ve introduced this separate section to enumerate them. In 2018, despite the weather, my travel, and lack of motivation, I matched 2017’s total of six centuries. I suffered more than usual on these long rides, either due to insufficient preparation or increasing age. 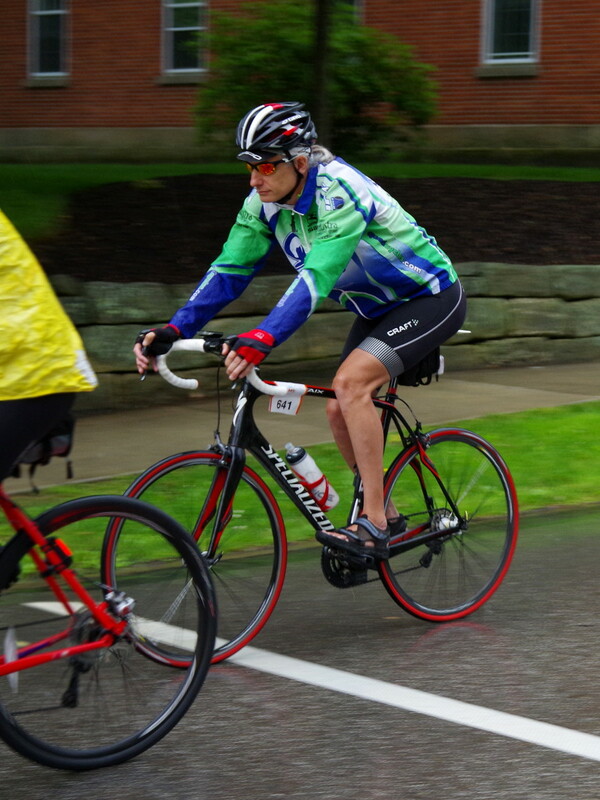 The annual Escape to the Lake MS Ride (blogpost) was soggy and sloggy, with rain both days, compounded by an unannounced (and poorly signed) detour and relocated rest stop. I made a road trip to Akron for my second Absolutely Beautiful Country ride (blogpost). Despite a flat course, it was still a sufferfest. After accidentally bringing only two right gloves, I rode bare-handed all day, which produced a painfully memorable sunburn. 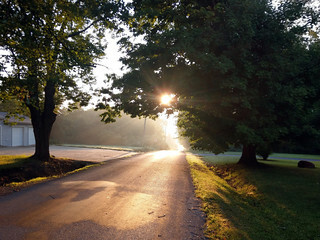 August began with the always-difficult Every Neighborhood Ride (blogpost). This year I had to stop for a vicious cramp halfway up Forbes Avenue. After recuperating and cooling off at the Squirrel Hill rest stop, I fell back and finished the ride with the slow group. 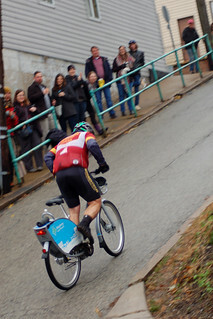 Pedal PGH (blogpost) was as chaotic as usual. Extending the metric to a full century proved costly, as I needed breaks to let the legs recover while recuperating from the heat. 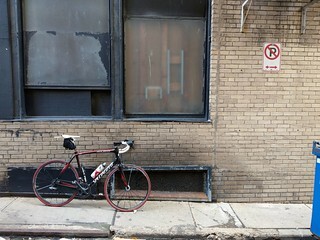 A week later, I drove up to Mercer County for my final century of the year. Though difficult, Pedal the Lakes (blogpost) was manageable, since I’d finally started coming into form… just in time for the season to end! I’ve already mentioned that Pittsburgh set a new all-time record for precipitation in a calendar year, receiving over one and a half times our normal rainfall. The resulting landslides washed away several roads, some of which still haven’t reopened ten months later. 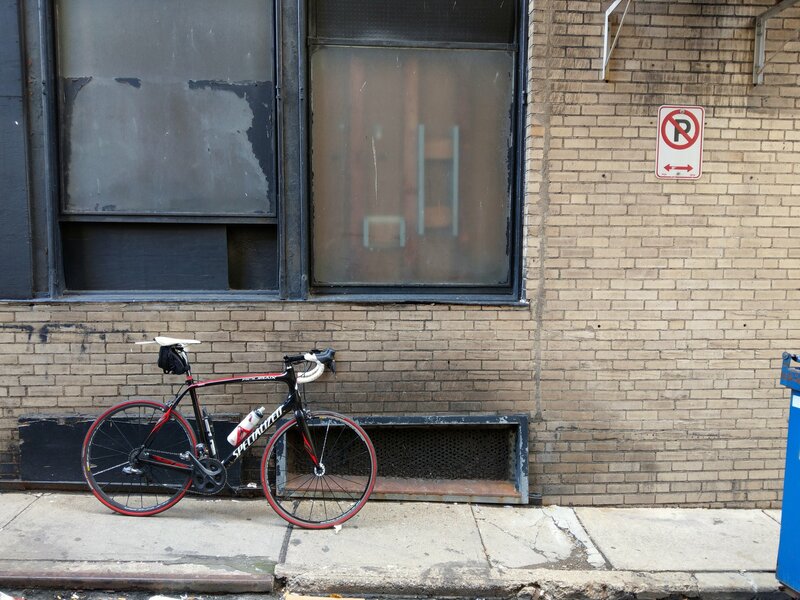 Many rides were canceled, including brevets, the Western PA Wheelmen’s spring and fall rallies, the Mon Valley Century, and numerous group rides. I only attended 5 out of 27 Tuesday night Team Decaf rides due to rain, and I bailed halfway through one of those due to a sudden mid-ride rainstorm! The year was filled with other frustrations, as well. Several of those mentioned below are covered in more detail in a short mid-August blogpost tellingly titled “Yeah, Yeah, Bicycle”. The local bike “advocacy” group decided to withdraw all support for BikeFest, a two-week cycling celebration it had run for 15 years. My bike had several mechanical travails, ranging from a still-unresolved creak to a fancy new Di2 mount that promptly broke my Di2 junction box. I spent $70 to re-stock my supply of powdered Gatorade mix, only to discover they’d changed the formula into an unusable dust that won’t mix with water and tastes just like burnt plastic. 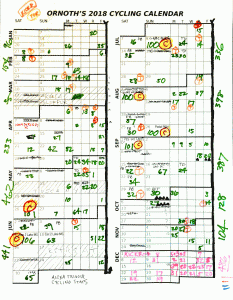 And Strava completely ruined the training charts I relied on, which I’ll speak more of below. The year’s biggest highlight happened in December, long after the riding season was done: my long-awaited purchase of an indoor smart trainer and membership on the Zwift multiplayer online cycling platform (blogpost). In addition to my first FTP test, I rode as “far” on the trainer in December as I did on the road in any other month in 2018! 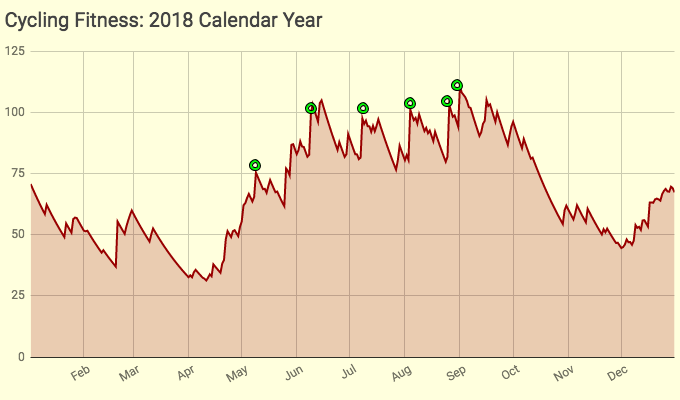 While it had no impact on the 2018 season, it has helped me get over my season-long malaise and should improve my form next spring. As mentioned earlier, Strava changed the math behind their “Fitness & Freshness” chart that I relied on for training and event tapering, and which I incorporated into my annual summaries as a graphical overview of the year. This first chart shows my fitness level over the past twelve months, with centuries highlighted. What you’ll note is an overall saw-tooth pattern, with sudden gains from intense training followed by immediate backslides; i.e. a complete lack of sustained improvement. You can see the dips during my travel dates: Southeast Asia in the latter half of March, a mini-dip in May during my week in Tuscany, and my meditation retreat in late June. But even when I was home, each time I gained fitness, it declined again, rather than moving progressively higher. Every upward impulse is followed by a dip back down; I just couldn’t sustain a consistent string of training. One easily-overlooked but hopeful sign is the upward trend throughout December. That’s the result of my new indoor trainer and Zwift membership. With any luck, I have already begun my positive fitness trend for the start of the 2019 season! The second chart shows how 2018 compares to previous years. Even though I began the year at a high level, over the summer I never attained the peak fitness of my previous six years. And that pretty neatly summarizes my year. A year ago, I reluctantly set some vague goals for 2018; I’d done all the new rides I wanted to do, and didn’t see any specific challenges to undertake in the new year. In that respect, I’m in the same situation this year. However, my lackluster 2018 was not a direct consequence of my lack of clearly-identified goals. I blame it all on horrible weather, lots of poorly-timed travel, and the fatigue and demoralization left over from a very demanding 2017. Fortunately, I’m entering 2019 much fresher, and with no major travel plans. So long as we don’t set any new rainfall records, 2019 is bound to be better than 2018 was. My primary goal for next year is simply this: to finally get beyond the malaise of 2018, to ride more, and get back to peak fitness this summer. That’ll be aided by my secondary goal for 2019: spending the winter riding Zwift on the trainer, allowing me to enter the road season at a high level of fitness, and monitoring that by performing regular FTP tests throughout the year. 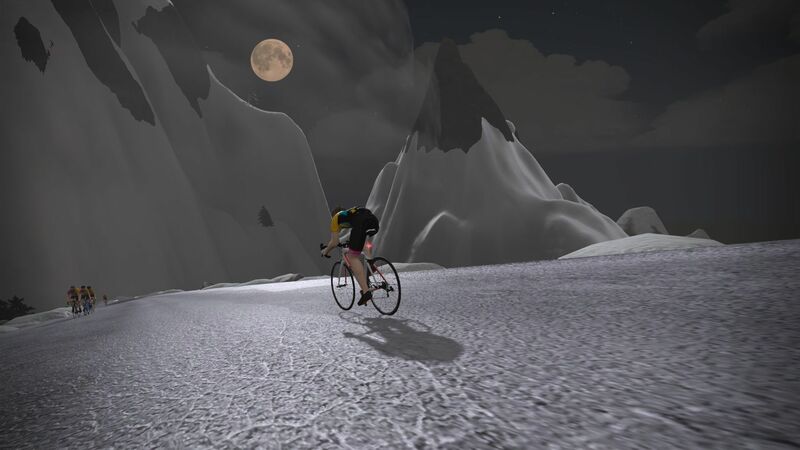 I needed a major change to shake me out of the funk that lingered over me all year, and Zwift is certainly different. I find myself actually looking forward to riding the indoor trainer and learning how to train more effectively by using its built-in power meter. I’m hopeful it’ll be the key that unlocks both my attitude and my fitness level for the 2019 season. If I can achieve those two simple goals, I’ll be happy, and it will make possible any specific challenges I target as the year progresses. And so far it looks promising!